Boom! 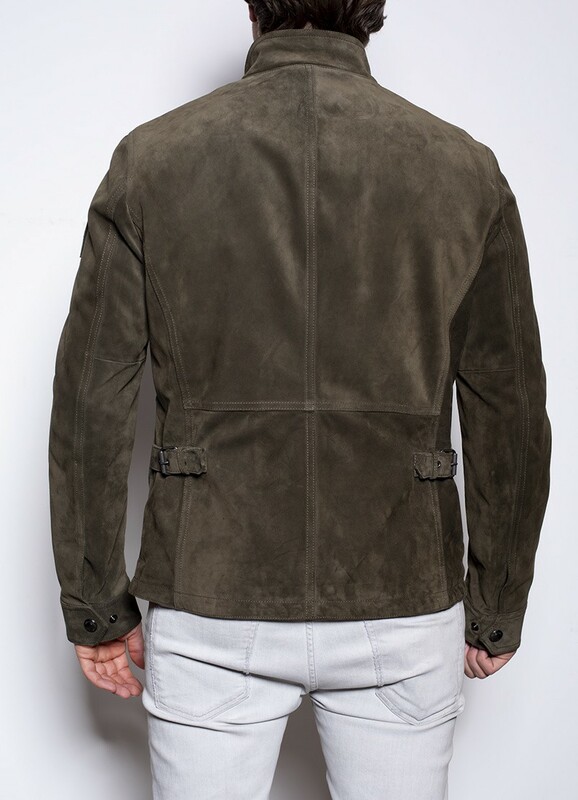 this green smoke leather jacket is part of the spring/summer 2019 collection. 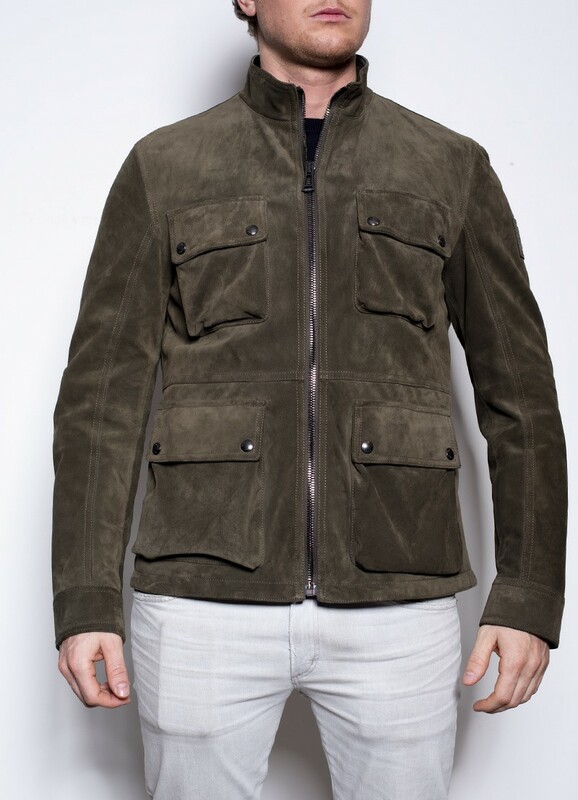 The men’s Brad jacket brags a classic Belstaff four-pocket silhouette which is crafted from goatskin leather that has a luxurious feel. 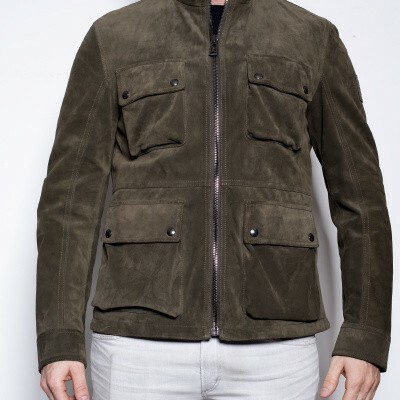 The jacket is finished with natural oil. 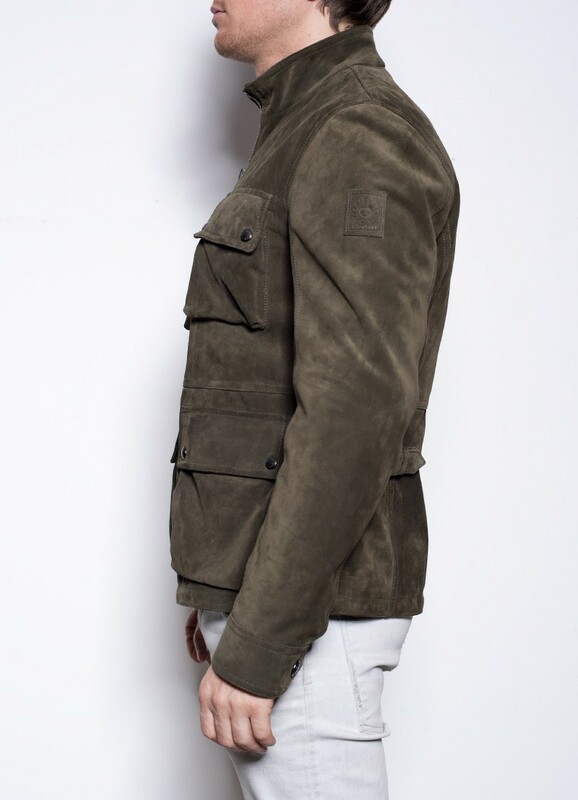 With exposed front zip fastening that rise through the stand collar, press-stud closures are featured both on the pockets and cuffs, Completing the details are the signature gunmetal hardware and a leather Belstaff phoenix patch on the left sleeve, of course! Do not wash. Do not bleach. Do not tumble dry. Do not iron. Do not dry clean (professional leather).